On Friday I drove up to Whalley, in Lancashire, to take part in a tasting hosted by the Whalley Wine Shop, titled ‘The Night of 100 Wines’. It was my first time in Whalley, which is a charming village (or small town?) in the Ribble Valley. Whalley Wine Sop used to be a Thresher’s property, but the locals are extremely lucky that when it was closed down, one of the managers, 27 year old Tom Jones, decided take it over. 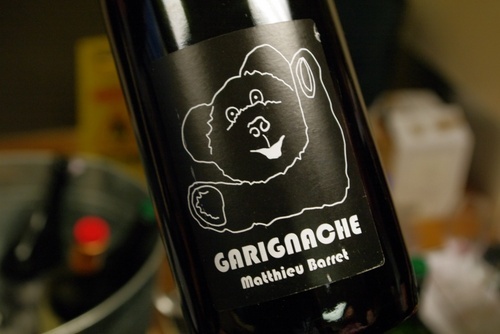 It’s now a proper wine shop and the range and staff are really good. It’s a great achievement, especially considering that one of the country’s most well known wine shops is only 3 miles up the road in Clitheroe. 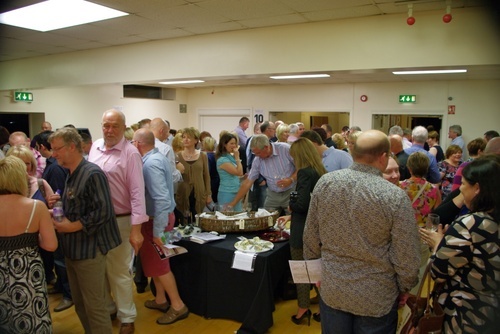 At the tasting there were 10 tables, one for each of 10 suppliers, each showing 10 wines. I went round tasting the wines and chatting to the lively crowd of punters, and was told to select one wine from each table. Then, at 9 pm, I was on stage for a quick bit of chat and to talk about my favourite wines. It was like doing stand-up. The crowd were already warmed up, and I was even heckled. But it was in good humour. ‘Hello Whalley,’ I began. ‘It’s not ‘Wally’, they shouted back, correcting my pronunciation. ‘It’s Woor-lee’. But they are a forgiving bunch. Here are some of the wines I chose. I definitely agree with you about the Turkey Flat, they are an A-list producer and that wine was brilliant the last time I had it. 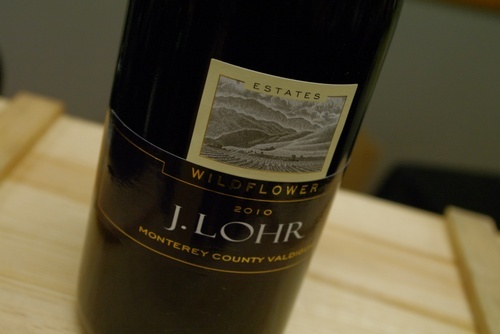 Thank you for the introduction to some new wines. 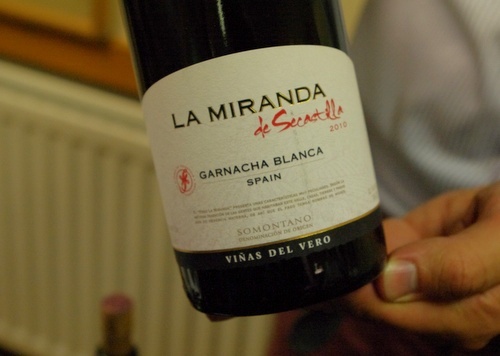 Really like what the Spanish are doing in the wine world. I nearly went there on a weekend in Ribchester recently but was seduced by the other shop in Clitehroe – only time for one shop. It’s nice to know that the wine world exists outside London. Unfortunately I live in Liverpool and we’re pretty poorly served here for wine retail apart from a good Oddbins and the occasional bargain from Costco. There is a decent local chain in Cheshire, but mostly it’s online, which kind of makes you dependent on reviews (like your’s)as the internet hasn’t advanced to offering tastings on line yet! Andrew, if you are ever in our neck of the woods do call in and say hello, and Steve, Ribchester is where I live and its my son Tom’s shop in Whalley. 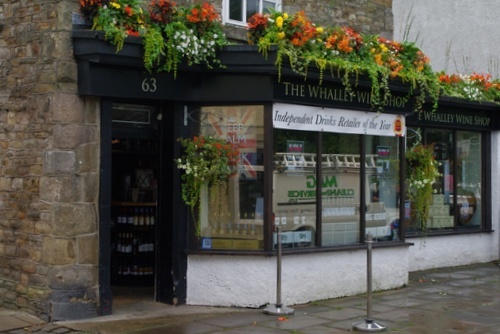 Byrnes in Clitheroe is an amazing wine shop and well worth a visit, but we’re doing some really nice things at The Whalley Wine Shop and there’s a real buzz about the place, next time you’re in Rib, do come over to Whalley! You can find us on facebook and twitter too. Steve – next time you go that way, definitely go to Whalley Wine Shop – it’s 100 times better than Byrne’s in Clitheroe! It’s an interesting point as to whether quality competition (not lowest common denominator) improves the market, rather than reduces it. In the Ribble Valley we have the Whalley Wine Shop and Byrnes. It’s also the home of Booths, the regional supermarket, and Barrica Wines both of which have a great range (but both more expensive than Whalley and Byrnes). This grouping has educated the admittedly reasonably well off customer base to expect better. It’s the Ludlowisation of the area (or Hungerford for antiques, Hay/Wigtown for books).